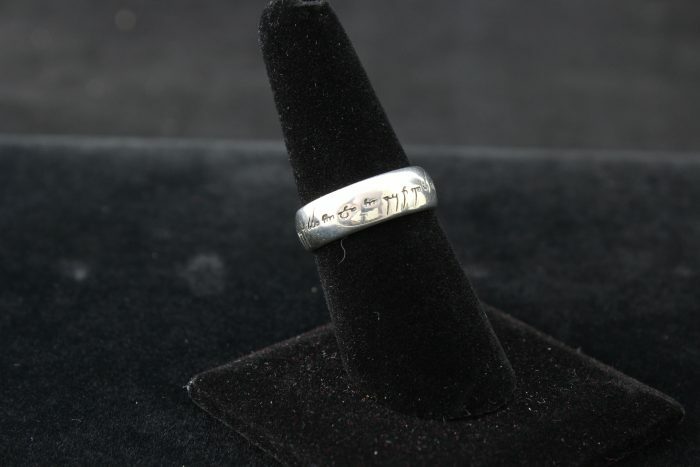 A sterling silver replica of the one ring from the Lord of the Rings franchise. With its legendary phrase (“Ash nazg thrakatulûk agh burzum-ishi krimpatul”), originally written in the Morder language, you can easily see it translated into elvish script. 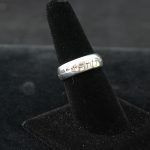 This ring would be a great gift for the Lord of the Rings fan in your life! The ring is in great condition.